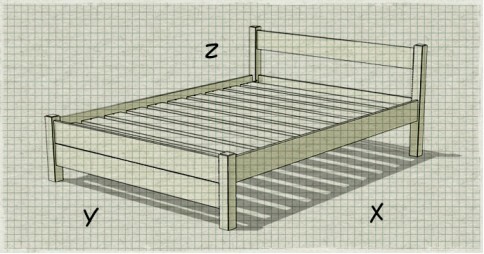 The efficient but sleek design of these bed frames provide a great practical solution to save space in your bedroom. 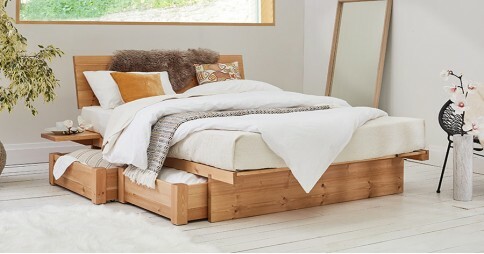 Our stunning handmade wooden Space Saver beds are comprised of a mixture of our most popular handmade wooden bed styles. 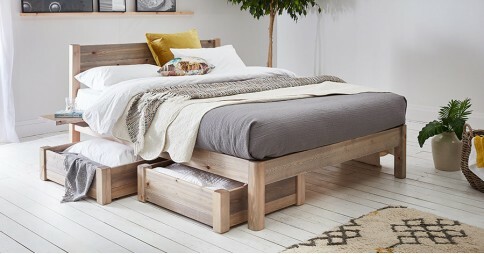 The Space Saving range is ultimately designed to maximise available space, making it the perfect selection of handmade wooden bed frames to use when limited space is an issue. 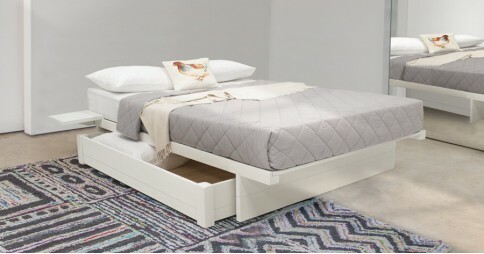 The wooden frame of our Space Saver beds are cleverly designed to allow the mattress to be supported by sitting on top of the wooden frame instead of inside it. This frees up space while still offering superb support. 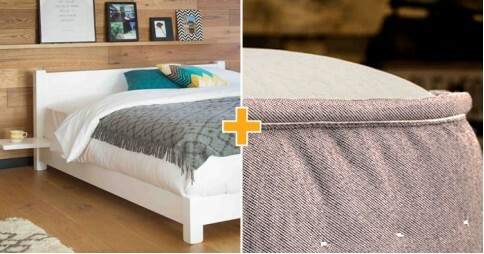 This allows the wooden frame to be smaller by a surprisingly large amount, letting you squeeze your Space Saver bed into the tightest of spaces. 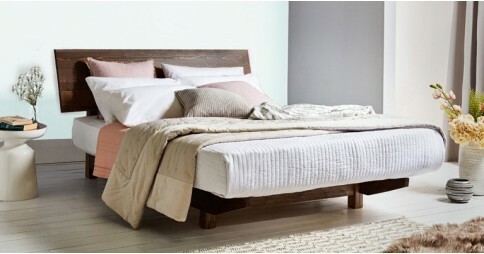 Our Space Saver selection offers many different wooden bed frames that enable you to find the perfect style Space Saver bed for you and your bedroom. Our renowned bespoke alteration service is a core element for us at Get Laid Beds and we provide it for every single handmade wooden bed we make. Our experienced carpenters and joiners are able to make a number of alterations, including size adjustments and design changes starting at only £55. We offer a luxurious range of ten different satin stain colour finishes, perfect for complementing your wooden Space Saver bed frame. 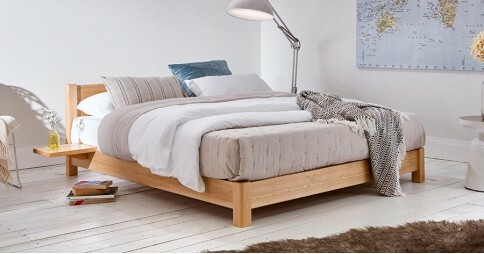 Select your favourite from our vast range of options to really discover the beauty of a handmade wooden bed. Choose between colour finishes such as the sophisticated white, warm chocolate, sleek black and professional grey, which are popular among our customers. 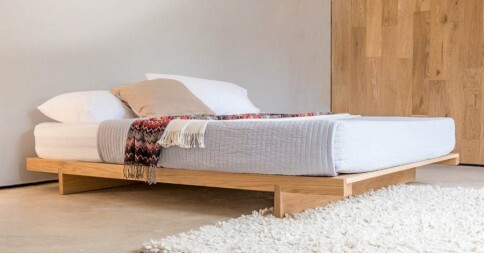 You can also request your bed to be carefully handcrafted from one of our eight solid hardwood options. These are a refined option, guaranteed to bring an air of finesse and more natural look to your bedroom. Among those available, Oak and Walnut are just two of our excellent Hardwood options that you can select for your bed frame. We strive to source all of our timber sustainably, from locations approved by the FSC and the PEFC. At Get Laid Beds we think all companies should be considerate and strict with their environmental responsibilities. We take pride in our beds and service, so we aim to give our customers our very best at every stage of hand making your bespoke wooden bed until it’s arrived on your doorstep. If you want to make an inquiry, or want to place an order for one of our beds in our Space Saver range, don’t hesitate to call us on 0207 183 5464.